In the United States, Hashimoto’s thyroiditis is the most common cause of an underactive thyroid gland, or hypothyroidism. 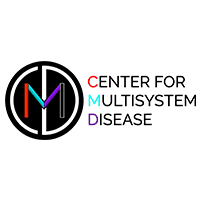 Dr. Schofield at the Center for Multisystem Disease regularly screens for this disease as patients with Hashimoto’s thyroiditis are at a higher risk for other autoimmune diseases and for autoimmune dysautonomia. To learn more about Hashimoto’s thyroiditis and the symptoms it may cause, call the office in Denver or book an appointment online. Hashimoto’s thyroiditis occurs when your immune system mistakenly attacks your thyroid gland. As a result, cells in the gland are destroyed and inflammation develops, which may lead to an underactive thyroid gland, or hypothyroidism. Women are eight times more likely to develop Hashimoto’s thyroiditis than men. In most cases, the symptoms first appear between the ages of 40 and 60, but it can occur in teens and young adults. Am I at risk for Hashimoto’s thyroiditis? You’re more likely to develop Hashimoto’s thyroiditis if you have another autoimmune disease or a family history of autoimmune disease. The opposite is also true: You have a higher risk of developing another autoimmune disease if you already have Hashimoto’s. All of these autoimmune diseases and Hashimoto’s thyroiditis affect multiple body systems, which may lead to many different symptoms. Additionally, autoimmune diseases may be complicated by the presence of other systemic diseases such as dysautonomia and mast cell activation syndrome. The hormones produced by your thyroid gland regulate your metabolism, growth, and many body functions. Although Hashimoto’s may result in an underactive thyroid, when the disease first attacks, the gland may respond by producing more thyroid hormones. Some people also develop a goiter when their thyroid gland becomes enlarged. The primary treatment for Hashimoto’s thyroiditis is to replace your thyroid hormones if they are low. Dr. Schofield first tests your hormone levels to determine your initial dose, then she’ll continue to monitor your hormones to see if your dose should be adjusted. Dr. Schofield also talks with you about dietary and other lifestyle changes to promote ongoing wellness to reduce your risk of developing another autoimmune disorder. If you develop any signs of a thyroid problem, call the Center for Multisystem Disease or book an appointment online.